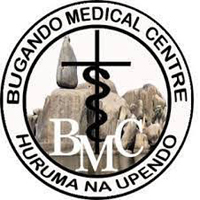 Bugando Medical Centre is a consultant and teaching hospital for the Lake and Western zones of the United Republic of Tanzania. It is situated along the shores of Lake Victoria in Mwanza City. It has 900 beds and over 1200 employees. It is a referral centre for tertiary specialist care for eight regions, namely: - Mwanza, Geita, Simiyu, Mara, Kagera, Shinyanga, Tabora and Kigoma. It serves a catchment’s population of over 16 million people.Bugando Medical Centre is therefore inviting suitably Tanzanians who can volunteer as Mortuary Attendant. Holder of an Ordinary /Advanced Secondary School Certificate. Relevant basic training in body preservation or mortuary services from recognized institution. Computer literate with MS-Word, Excel and Data Base applications.  Places body in compartment tray of refrigerator or on autopsy table using portable stretcher. Letters of application should be written in English preferably handwritten attaching a detailed curriculum vitae, certified copies of academic/professional qualification, testimonials and names, Addresses, telephone numbers and three referees, should put in a sealed envelope addressed to the Director General so as to reach him within two weeks of the date of first appearance. Only short listed applicants will be contacted. Child Health, Cardiothoracic Surgery, Urology, Orthopedics, Neurosurgery, Pediatric surgery, Plastic and Reconstructive surgery, Laparoscopic Surgery, Cardiology , Nephrology, Gastroenterology, Hematology , Infectious disease , Dermatology, Oncology, Molecular studies and Nuclear Medicine.